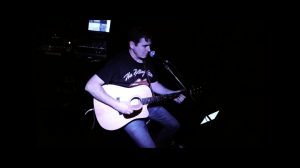 Thom Stephenson is a singer/songwriter performing weekly in the greater Cincinnati tri-state area. After attending the Conservatory of Music and acquiring an electrical engineering degree he traveled extensively with various regional rock and pop groups crafting his strong songwriting skills on the Guitar, Bass, and Keyboards. Thom primarily performs solo on the acoustic guitar with a unique interpretation and blend of various genres ranging from classic rock to current hits. Engaging the audience at live performances is his true passion and calling. He has opened for various national acts including Sugar Ray and Cheap Trick.